touched the Well of Ascension, according to the prophecies. He rose to apotheosis—and lo! The Deepness was wiped clean of this earth! and established in their place an Empire that was right and just. The Final Empire, merciful gift to mankind!" —Canton of Orthodoxy, "Introduction to History and Holy Writ"
One thousand years ago, a hero rose to unite the world against a common evil. Born tending crops, he came to topple kings. Armies hearkened to his voice; prophets sang at his approach. The Terris Worldbringers knew that the Hero of Ages had finally come. This man, surely, was destined to slay the Deepness, and deliver the world into a new era. Ash falls beneath a red sun. Brown plants grow in careful cultivation. At night, the blackened streets are washed in mist. Kredik Shaw, the Hill of a Thousand Spires, casts it many-fingered shadow over Luthadel. The Final Empire, built to withstand time itself, has existed for more than a thousand years. Society—fashion, music, architecture, language, religion, technology—remains in stasis, guided to its resting place by the Steel Ministry. No man, noble or skaa, escapes the eyes of the obligators. And the Lord Ruler owns the world. Only the Mists are free. They belong to a force above this world, and not even the Sliver of Infinity can hold them in the palm of his hand. When the sun disappears below the horizon, they bathe the night in wispy tendrils of white. Skaa fear them; Allomancers embrace them. While some use them to shroud their misdeeds, one man uses them to combat the grip of the Final Empire. Skaa in every Dominance whisper of the Survivor, the only man to escape the Lord Ruler's prisons. He escaped with Allomancy, the legendary power of the Mistborn. The Survivor plans to overthrow the Lord Ruler, and end the Final Empire. Upon his ascension, the Lord Ruler gifted his most loyal allies with the power of Allomancy, the ability to draw vast power from digested metals. An Allomancer swallows these precisely-mixed metals in a vial of alcohol solution, then quickly metabolizes them (or "burns" them) in order to use their power. The metals must be exactly mixed, and must all be burned after a certain period of time; otherwise, the Allomancer becomes ill. Furthermore, Allomancy presents itself only after the Allomancer has undergone intense physical trauma—“snapping”, as it is called. The ability is hereditary, present only in the nobility—or, at least, those with noble blood. Half-breed Allomancers are more common than one would expect . . . but the Canton of Inquisition exists for that very reason. Allomancy centers around eight basic metals, and most Allomancers are only able to burn one of these metals. 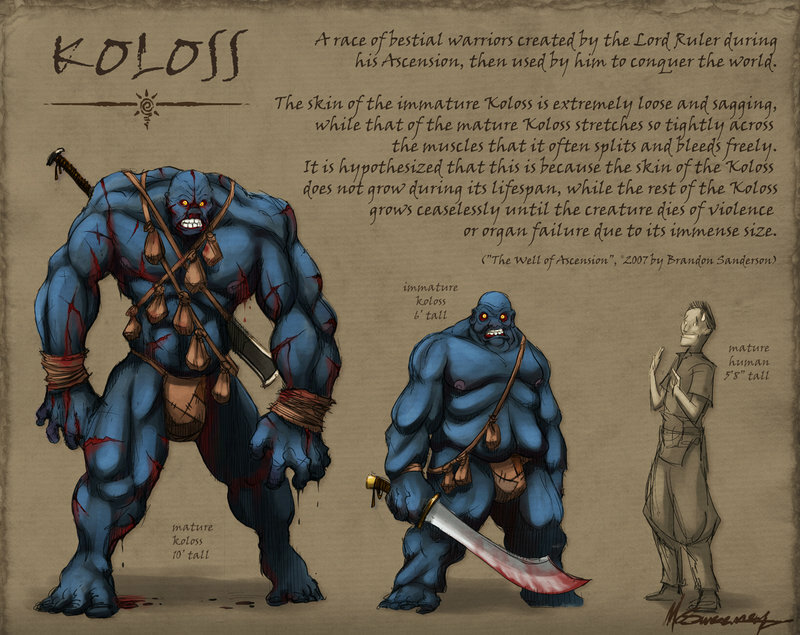 These Allomancers are called Mistings, and they are prevalent throughout the noble houses. Much rarer, however, are those who can burn all eight metals, in addition to some others. They are the Mistborn, some of the most powerful people in existence. If a guard sees anyone dressed in the filmy, many-stripped Mistcloak, they immediately avert their gaze. Mistborn business is no business of theirs. 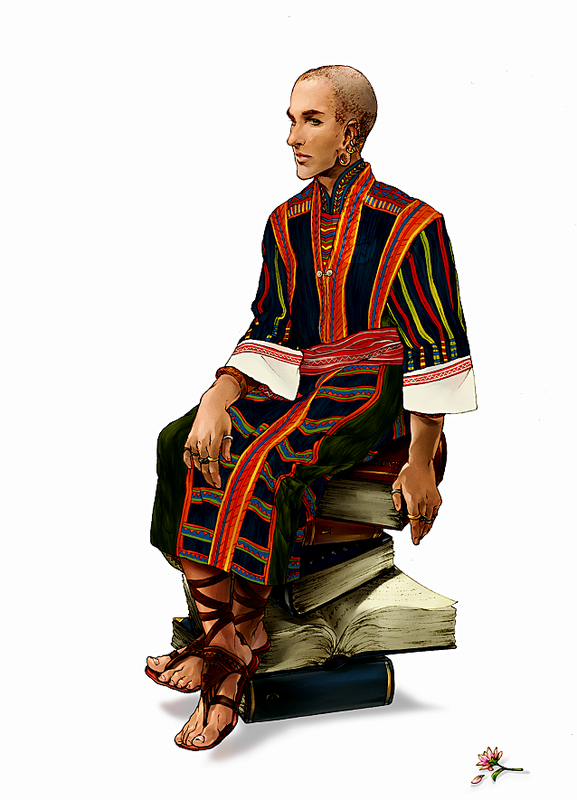 Half-breed Mistborn are almost unheard of, so rare is the ability . . . but they do exist. Iron - Allows an Allomancer to Pull on nearby metal objects. When burning iron, the Allomancer senses several blue lines shooting forth from their vision—connecting to metal objects, outlined in blue. Bright lines point to a nearby source of metal, while faint lines indicate metal that is farther away. The laws of physics still apply to Ironpulls: If an Allomancer Pulls on a metal object that is heavier than himself, he will move towards it. Ironpulls must be directly aligned with the Allomancer's target, or the Pull will go askew. Furthermore, metal inside the body (piercings, trace metals, etc.) cannot be Pulled upon. Mistings who burn iron are called Lurchers, and are mostly employed to disarm enemy Allomancers. 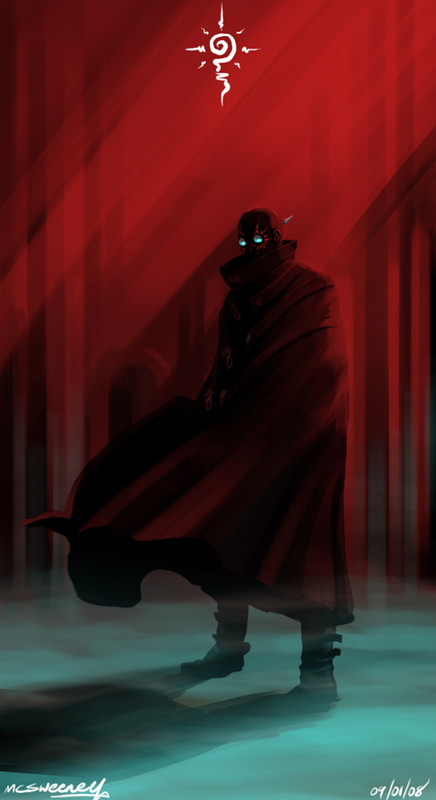 Mistborn often use iron in tandem with its counterpart, steel. Steel - Allows an Allomancer to Push on nearby metal objects. When burning steel, the Allomancer senses several blue lines shooting forth from their vision—connecting to metal objects, outlined in blue. Bright lines point to a nearby source of metal, while faint lines indicate metal that is farther away. The laws of physics still apply to Steelpushes: If an Allomancer Pushes on a metal object that is heavier than himself, he will be pushed away. Steelpushes must be directly aligned with the Allomancer's target, or the Push will go askew. Furthermore, metal inside the body (piercings, trace metals, etc.) cannot be Pushed upon. Mistings who burn steel are called Coinshots, as low currency is often their projectile of choice. 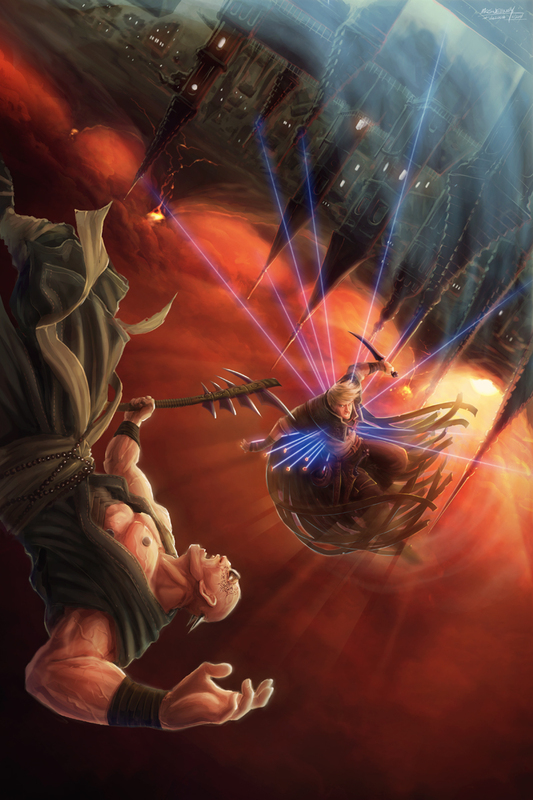 Mistborn often use steel in tandem with its counterpart, iron. Tin - Enhances an Allomancer's senses for the duration of burning. When burning tin, all of an Allomancer's five senses are increased at the same time; one cannot selectively enhance sight or hearing. Sensitivity to the senses (including pain) is also increased. For some unknowable reason, Tin also allows for an Allomancer to see through the Mists. Mistings who burn tin are called Tineyes, as they are invaluable scouts, essential for any kind of espionage or defense. 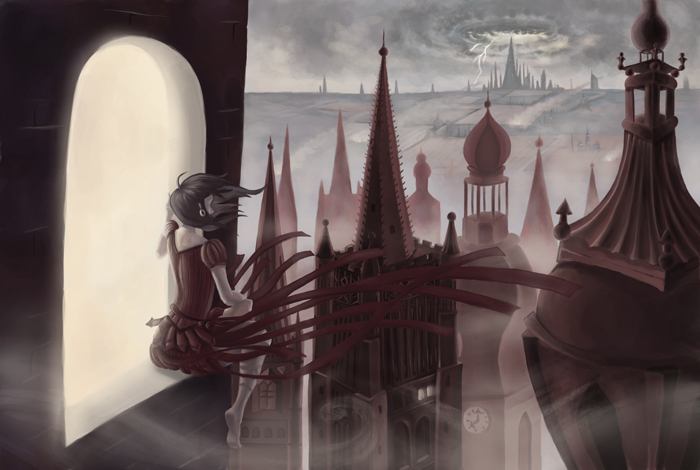 Mistborn often use tin in tandem with its counterpart, pewter. Pewter - Enhances an Allomancer's physical strength, speed, balance, and endurance for the duration of burning. Under pewter, the body can also heal more quickly, and is less sensitive to pain. Of the eight basic Allomantic metals, pewter is depleted the most quickly. It does not enhance one's ability to fight, only the actual capabilities of the body. Mistings who burn pewter are called Thugs, because they often comprise the brute strength of a team. Mistborn use pewter as often as they are able to. Brass - Allows the Allomancer to Soothe away a target's emotions. Brass is most effective on a single target, but a skilled Allomancer can Soothe a group as well. By Soothing away undesirable emotions, an Allomancer burning brass can persuade others easily—or motivate them, when need be. When directed at all emotions, brass produces a feeling of emptiness. Burning brass does not grant the ability to know what a person is feeling, so the Allomancer must determine what their target is currently feeling. Mistings who burn brass are called Soothers, for their ability to dampen emotions. Mistborn often use brass in tandem with its counterpart, zinc. Zinc - Allows the Allomancer to enflame, or Riot, a target's emotions. Zinc is most effective on a single target, but a skilled Allomancer can Riot a group as well. By enflaming desirable emotions, an Allomancer burning zinc can persuade others easily—or motivate them, when need be. When directed at all emotions, zinc produces a heightened state of determination/emotion. Burning zinc does not grant the ability to know what a person is feeling, so the Allomancer must determine what their target is currently feeling. Mistings who burn zinc are called Rioters, for their ability to dampen emotions. Mistborn often use zinc in tandem with its counterpart, brass. Bronze - Allows an Allomancer to sense when others are using Allomancy. Each Allomantic metal produces a distinct "pulse" when burned, and bronze makes these pulses "audible" to its user. To one who is not accustomed to burning bronze, the pulses are difficult to distinguish—but skill and practice allows one to distinguish who is burning what from how far away. Bronze produces its own Allomantic pulse, and can be detected by others burning bronze. Mistings who burn bronze are called Seekers, and are incredibly useful for reconnaissance and stealth. Mistborn use bronze only when the occasion calls for it. Copper - Creates an invisible "coppercloud" around the Allomancer, masking all Allomancy within. The effects of copper extend well outside the range of the individual Allomancer; one person burning copper can mask an entire group's Allomancy. Mistings who burn copper are called Smokers—and they are essential to any Allomantic group, while useless on their own. Misborn always burn copper, whenever they are able to. 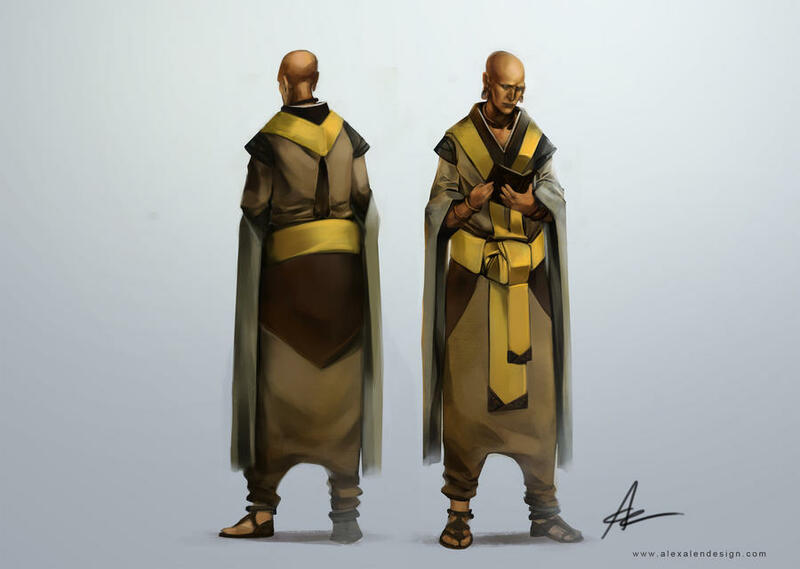 Gold - Apart from the eight basic metals, gold can be used only by Mistborn. It allows an Allomancer to see who they might have become, had certain choices been made. Images of "alternate selves" appear around the Allomancer, living and breathing for a few fleeting moments. The experience is surreal, but lacking in practical value. Atium - Apart from the eight basic metals, atium can be used only by Mistborn. It is the most valuable of all Allomantic metals—allowing a Mistborn to see into others' futures. When burning atium, the Allomancer sees future image (an "atium shadow") overlapping the actual organisms in front of him. The image acts first, then the actual person follows its movements. Atium enhances an Allomancer's mental faculties, allowing him or her to make split-second decisions according to the atium shadows. If two Allomancers are burning atium, the effect is neutralized by hundreds of atium shadows springing from each, removing any advantage one may have. Atium is valued higher than any other metal in the Final Empire, and the Lord Ruler has direct control over how much circulates the market. Noble houses have gone to war over atium, and many men have died over it. Nobody knows where it is found in nature. Ironically, atium burns even more quickly than pewter, and cannot be recovered once depleted. An nearly lost art from before the Ascension, Feruchemy is the natural hereditary ability of the Terris people. Rather than drawing upon metals for power, Feruchemists use metals as conduits and storage devices for their own natural attributes. They spend a period of time weakened, storing a certain attribute inside a metalmind of the corresponding metal. Later, they can draw upon that strength, "tapping" the metalmind for its reserves. The process is totally balanced; no energy is created or destroyed. The Terrismen, once an agrarian society, have now been impressed into servitude. A Terris steward or stewardess is conditioned to be docile, subservient, mentally agile, obedient, and utterly loyal to their masters. Their reproduction is controlled by the Lord Ruler's breeding programs, designed to weed out Feruchemy from the Terris population. All males who are not used for breeding have become castrated eunuchs. Feruchemists still exist in hiding, however—some of them currently serving in noble households. As copperminds can be used to store memories, most modern Feruchemists have been secretly trained in the ways of the Keeper Sect. The Terris Keepers archive knowledge from before the Ascension; their copperminds contain flawless records of history, culture, religion, engineering, etc. Iron - Stores Physical Weight. More often filled than tapped, to decrease the weight of a fall. Steel - Stores Physical Speed. Tin - Stores Senses. Unlike Allomantic tin, individual senses can be stored and tapped. Pewter - Stores Physical Strength. Balance and pain threshold are not affected. Zinc - Stores Mental Agility. Copper - Stores Memories. Retrieved information is fresh, but must be placed back inside the coppermind, so as not to be "spoiled". Keepers will often retrieve a memory, jot down a note, then return it to the coppermind. Atium - Stores Bodily Age. Upon his Ascension, the Lord Ruler reordered human physiology to fit the needs of his new Empire. While his loyal supporters formed the noble caste, the rest of humanity formed the working foundations of the Final Empire—a nation of serfs. 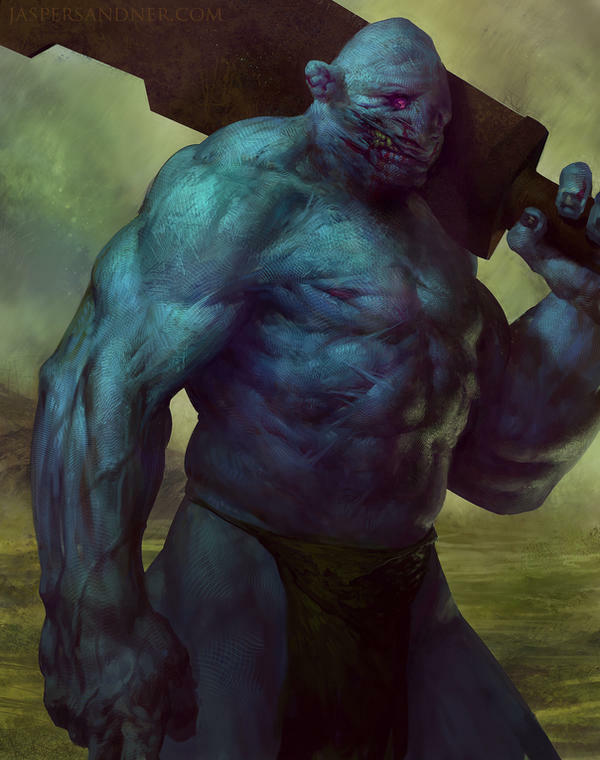 Skaa were altered to be hardier, more durable, and more fertile. They can easily subsist on the stunted brown plants they cultivate, and can endure harsher beatings. Years of interbreeding with the nobility have lessened these traits, however, to the point that skaa and noblemen are indistinguishable. The caste system remains, however. An assaulted noblewoman would have the city guard by her side in an instant; a female skaa can be raped and beaten without fear of consequence—so long as she is destroyed, to prevent the birth of any half-breeds. Fear of the Inquisitors has ensured that most half-breed children are destroyed. In cities, a lucky skaa demographic is given some measure of freedom: Skilled artisans, often in families, have permission to own personal workshops. Some master blacksmiths, woodworkers, tailors, and painters have all been skaa. They take a quiet sort of pride in their elevated status, and are pleased to sell their wares to the nobility—who cannot help but recognize their skill. Behind the scenes, however, many of these skaa-owned shops are fronts for thieving crews . . . Some are also very professional. Opposites and masters of the skaa, nobility enjoy lavish keeps and plush country estates. Formal wear has not changed for a thousand years—suits and vests for men, billowing gowns for women—but somehow fashion still takes precedence. Fashion, along with relationships, politics, music, art, and games, occupy noble gossip. Indeed, while many have personally mistreated skaa, most are totally ignorant of the death around them. To them, the skaa underground is a fanciful myth—and to speculate on the nature of skaa is considered counter-culture, at best. At worst, it is treasonous thought crime, punishable by law. The most powerful noble families comprise the Great Houses, all of which own keeps in Luthadel, capital of the Empire. They own multiple holdings throughout the Final Empire, and "own" many smaller houses with whom they have contracts. Between the Great Houses, tension and intrigue are the eternal clime. One house is always seeking to usurp another—by forming an alliance with yet another. The Lord Ruler does little to stop this, allowing the Great Houses to purge themselves every few decades. New houses join the ranks, and old houses ones fade; the Final Empire remains stable. The theocracy of the Final Empire is managed by the Steel Ministry, priesthood of the Lord Ruler. One can spot an obligator—a priest—by his gray robes, shaved head, and intricate eye tattoos. Each division, or Canton, of the Ministry has a different tattoo pattern; size and intricacy of the tattoos indicate rank. Obligators are omnipresent, whether they can be seen or not. Know that they are always watching. No citizen of the Final Empire can live without contact with the Steel Ministry: Every day, a crew of skaa workmen collects the bodies of their fellow skaa, and the deaths are tallied by the Canton of Resource. Like regular clockwork, noble houses are visited by the Canton of Finance to collect the monthly tithes. Keeps and mansions are festooned with religious imagery, as approved by the Canton of Orthodoxy. Every man, woman, and youth fears the Canton of Inquisition. The Lord Ruler owns the world, and the Steel Ministry is the cage he has built for it. Canton of Orthodoxy: Responsible for the spread of religion, information, and proper thought, the Canton of Orthodoxy exerts control over all aspects of life. It concerns itself with architecture, literature, art, the doings of the nobility, and countless other parts of Luthadel society. At public executions, the Canton of Orthodoxy is present to read the Lord Ruler's decree, quoting holy writ as the heretics' heads roll. The Canton of Orthodoxy currently manages all other cantons—except for the Canton of Inquisition, its rival canton. Canton of Finance: Any noble house with government contracts—that is to say, virtually all of them—must regularly visit their local office of the Canton of Finance. This branch of the Steel Ministry controls all money flowing in and out of the government's hands, and monitors all of the money in existence. Boxings (currency) are being tallied constantly, the busy hands of obligators making efficient work of the Final Empire's finances. Through the Canton of Finance, the Lord Ruler keeps a tight rein on the economy, when he so chooses. Canton of Resource: The physical assets of the Final Empire—crops, water, bulk goods, wood, metals, etc.—are managed by the Canton of Resource. They monitor trade alongside the Canton of Finance, keeping track of plantation production and production quotas. Human resources are also controlled by this canton: All skaa technically belong to the Lord Ruler, and are leased indefinitely to noble families. The Canton of Resource is concerned with all matters regarding the skaa—their births, lives, and deaths. Canton of Inquisition: Fear the Canton of Inquisition. Their suspicions—of harboring half-skaa, of subversive thinking, of threats to the state—are very rarely wrong. Those found guilty can be subject to torture and experimentation. They are always killed. No one can mistake a Steel Inquisitor: Imposing figures swathed in black, their eye tattoos are distinguished with a single red line, running vertically from forehead to cheekbone. Horrific metal spikes have been driven through their eyes, and protrude through the back of the skull. Somehow, they live—and they "see" as no human can: Like Allomancers burning iron or steel, an Inquisitor sees all sources of metal nearby—even the trace metals in a human being. Light and shadow mean nothing to them. In addition to this bizarre iron sight, Inquisitors are gifted with phenomenal strength, speed, and healing powers. They all are Allomancers at the level of well-trained Mistborn—with the impossible ability to pierce copperclouds. Even with a Smoker beside them, a half-breed Allomancer is not safe from the Canton of Inquisition . . . and none of them are aware of it. Before he ever gained the title, the Survivor of Hathsin was known throughout the underground as a masterful prince of thieves—the most ambitious crew leader in Luthadel. His crew was never consistent, but all those who survived a job would eventually return to work alongside him. With savvy friends and mad ingenuity, he cheated and scammed every noble house in the city—looting thousands of boxings from their coffers. But then his fingers were caught in the deepest coffers in the Empire. He was discovered inside Kredik Shaw, the Lord Ruler's palace. They say someone betrayed him. Somehow, he escaped the Pits of Hathsin, the only known survivor. He escaped with mutilated forearms, the skin interlaced with white-hot scars. He escaped with the powers of a Mistborn, and he escaped with a fire in his heart. Now, as the Survivor of Hathsin, he has returned to Luthadel in search of a crew. The "skaa rebellion", a floundering group of refugees in caves, has hired the Survivor to strike a lasting blow against the Empire. This job will be unlike any scam in history—a fathomless reward, for the ultimate risk. Though he has told no one yet, the Survivor plans to overthrow the Lord Ruler, and bring the Final Empire to an end. Months of research have lead him to a strange "Eleventh Metal", one that can supposedly kill a god. I. Forum standards on godmodding and powerplaying apply. II. While a few canon characters are necessary, I will only be accepting original characters. If you are interested in a canon character, please send a PM to me. III. Romance is permitted, but it must be kept within forum standards. IV. I will remove any roleplayer from this RP if their conduct merits it. V. If this roleplay is to succeed, you must adhere to the rules of the magic system. Consult me (or the books) if you have any questions. VI. If you agree to these rules, post the following above your template: "There's always another secret." Gender: Are you male, or female? Personality: What does your heart wish? One paragraph minimum. Abilities: NOT OPTIONAL. How is your character useful or skilled, outside of the Metallurgic Arts? History: How has life in the Final Empire treated you? OMG! The Mistborn trilogy is one of my favorites! I'm so joining this~. May I be a mistborn or do you have to be a misting? In a bout of forgetfulness, I forgot to add Mistborn to the "contact me" list--but I've now edited that tidbit. 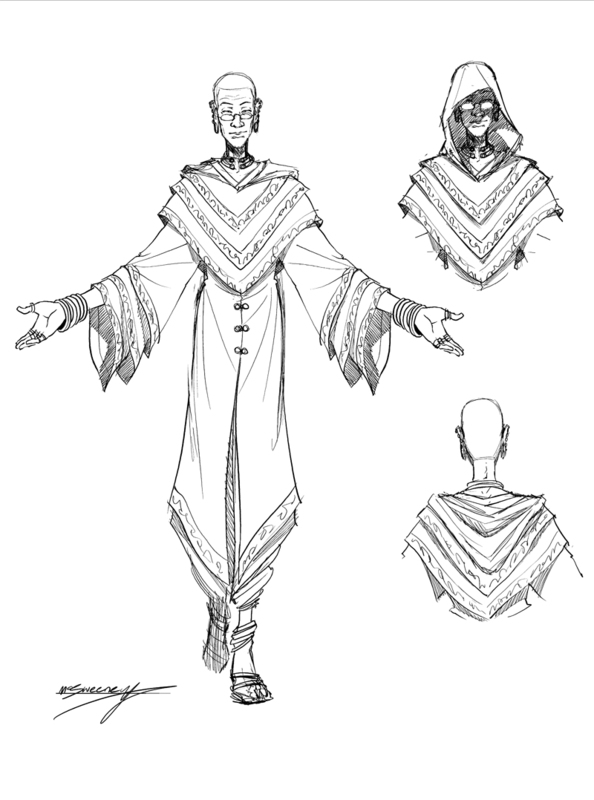 If you'd like to create a Mistborn character, please send a PM with your concept/template. Shoving my face in here to show my stamp of massive approval, and to give the obvious cookies and treats. Will be putting a temp sometime this week. 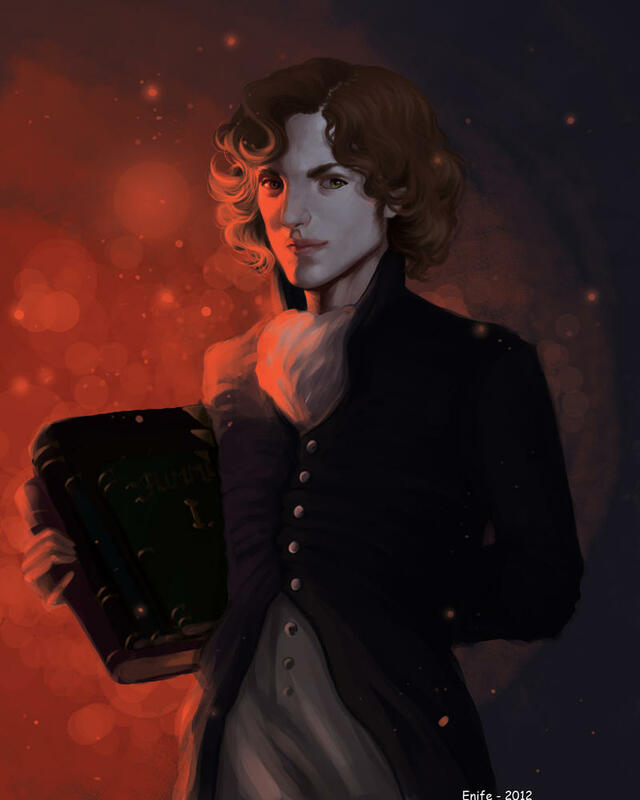 Remember: You don't need to have read the books to participate in this roleplay.